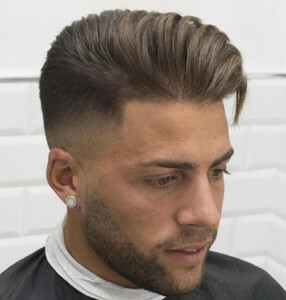 There are a lot of men who are into using the fade haircut now as their go – to haircut whenever they would like to have hair style that can make them look great without trying too hard. Men’s fade haircut can come in various forms and you need to know the different ones before you can choose the right one for you. 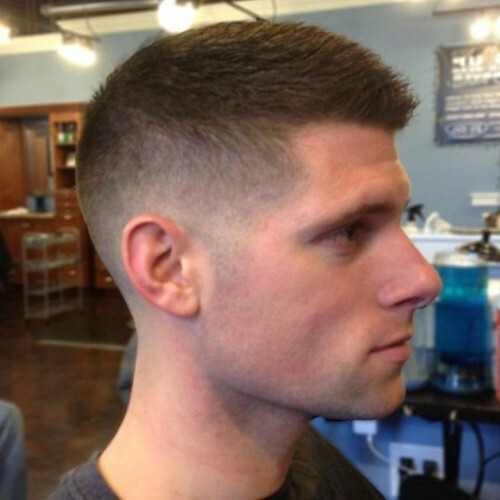 The main reason why the fade haircut is extremely popular is probably because it can make any man look neat and clean. 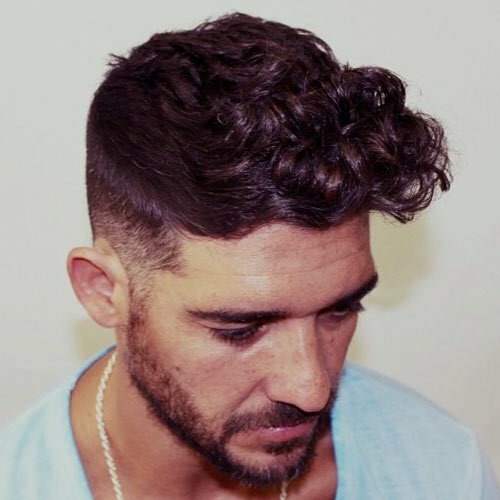 This cut can best be described as having a thick top portion and a thinner portion towards the sides and the back portion of the hair. You may get the inspiration that you need by checking out the various fade haircuts that are available. 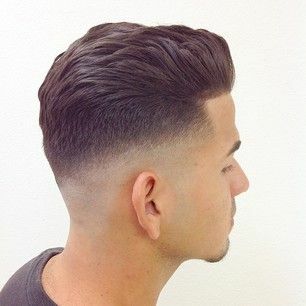 Do you think that in order to call a hairstyle a fade, your skin should be visible from the top portion going downwards? You always have a choice to keep the top portion of your head thick as it slowly thins out before it reaches the bottom. 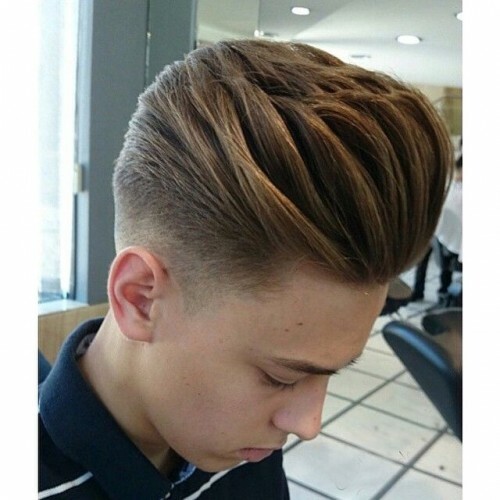 Perhaps you are not yet ready to let go of your spiked haircut yet and as much as possible, you would like to have a haircut that can make you look cool especially if you have some casual events to attend. You know that this can look great on you with the right hair products of course. 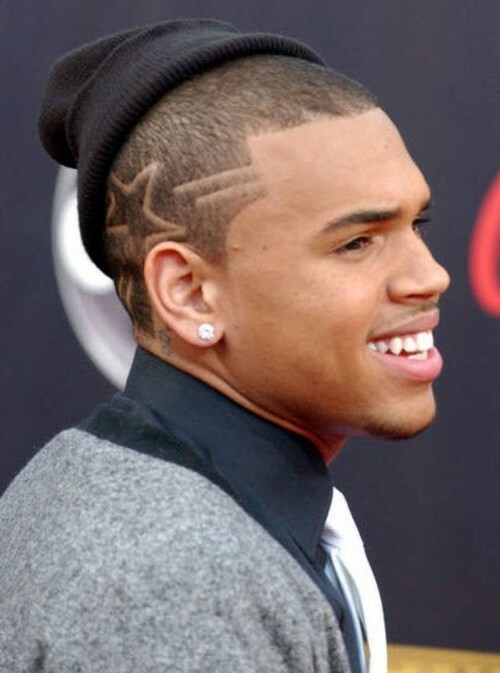 If you would love to have a fade haircut wherein the side can have some sort of symbol or design, this is possible too. Just make sure that you will choose a design that can be perfect for you and at the same time, make sure that it is still appropriate for work or school. If you would like to have a fade haircut that starts from your hairline then this may be the right fade haircut for you. 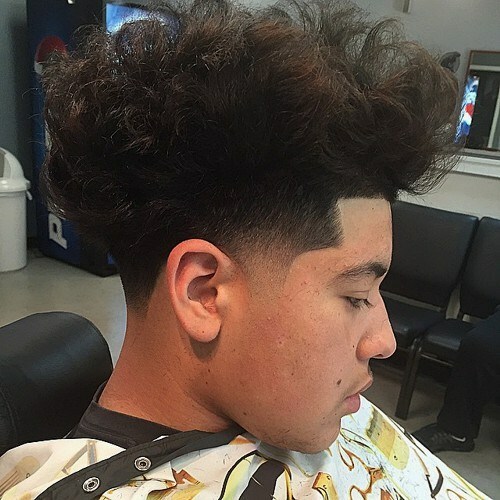 This may be one of the best fade haircuts that you can try if it is your first time or if you want something that is universally flattering. This can look great on any man. 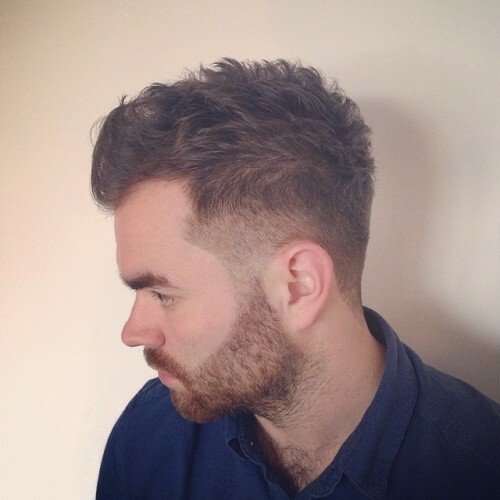 If you have thick hair, you can make this fade haircut look handsome on you. Usually, you would need to have mid length hair to make this possible. Just make sure that you will secure all the angles of the hair so that it will look great. 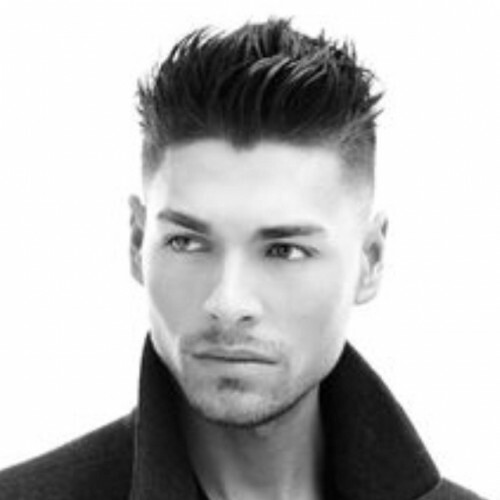 If you are still into the pompadour trend then you know that elevating it into a fade haircut will be easy to do. 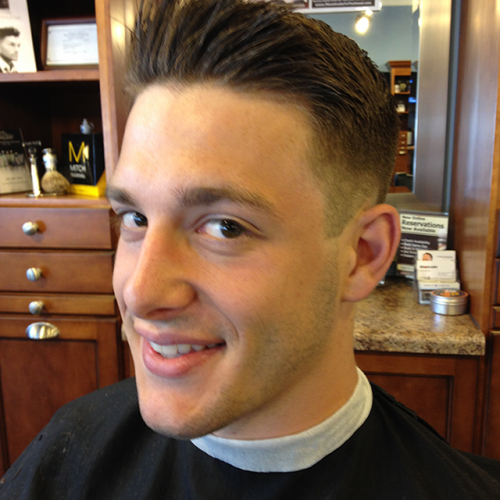 This is also a very classic style so making this cut look amazing will not be too hard to do. Although this is one hairstyle that used to be more popular in the past, it seems that some people are determined to bring it back. This retro hairstyle allows the hair to take on a more cylindrical or square shape at the top portion of the head. The fade effect is evident on the sides although it is in a more distinct manner. Do you have naturally curly hair? 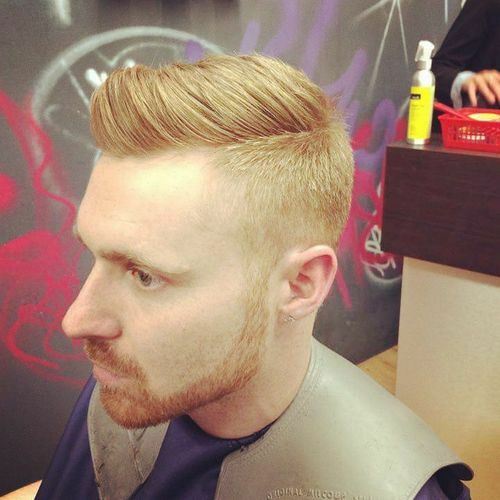 You need not worry about making sure that the fade hairstyle will look amazing on you because it can still look great. Just make sure that you will make the transition appear great on the side of your hair. 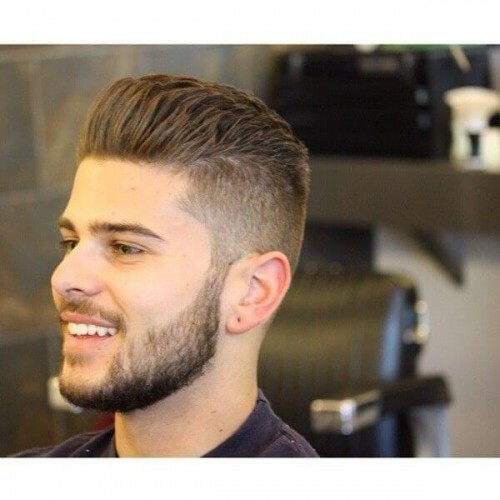 If you would like to keep the upper portion of your hair to be long and sleek, you know that this is possible as long as you would keep the sides short and in a fade manner. Tapering is considered to be one of the most classic and common hairstyles that are available at present time. You can be sure that this can look great on your hair too. This is neat and simple and you will have no trouble pulling off this hairstyle. There is a chance that you are not contented with just having lines to be placed on the side of your hair. Rather, you would like to have a hairstyle that can look like a work of art. You can make this happen by having objects sculpted on the side of your head. If you would like your hair to have a fine and sculpted look, you ought to know that this is possible if you would have super straight edges all over some portions of your hair. You can be sure that the angles will make your hair look great. Who says that just because you have wild and crazy hair you cannot make use of a fade hairstyle anymore? 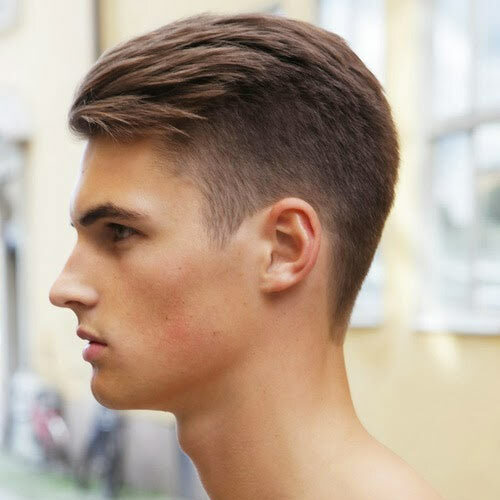 It is always possible for you to have a fade hairstyle as long as you would keep the sides of your hair short. If you would like to have a fade haircut that looks cool enough, this may be the right one for you. There are some people who love this style a lot but others would rather skip this look as they find it too daring for what they have in mind. 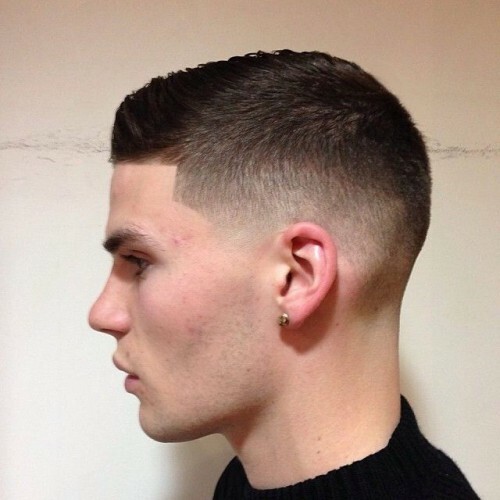 Would you like to have a fade hairstyle that looks a bit different from the usual? 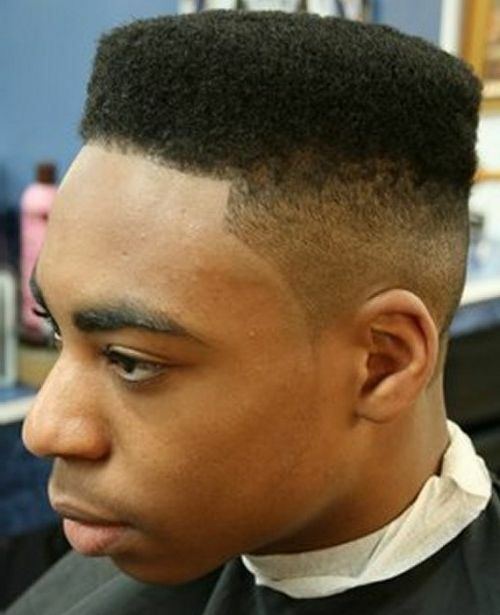 The mid fade usually is thick near the hairline and suddenly fades out in the middle up to the bottom area. 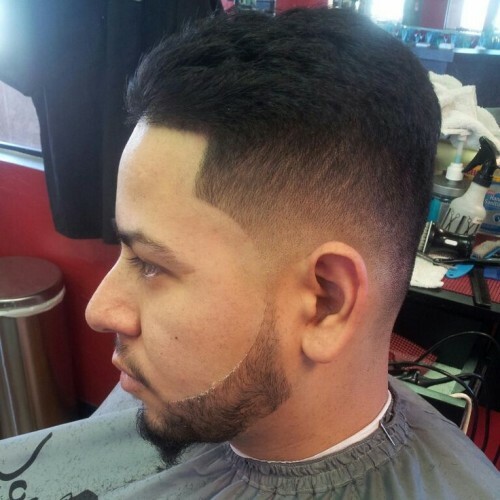 If you would like to have a fade that is not made by a razor, a scissor fade is possible. It has a distinct look to it because the various portions of the hair are not buzzed to make the hair appear shorter than usual. 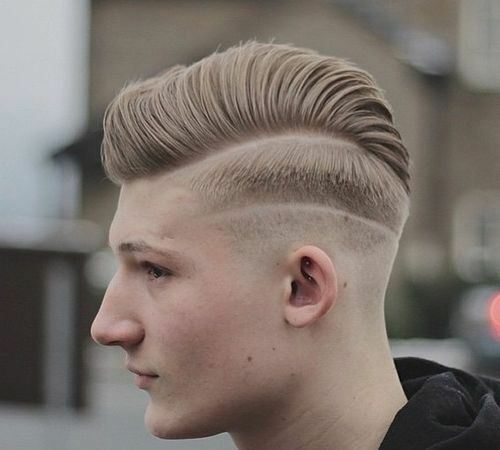 This can also look like a soft fade. 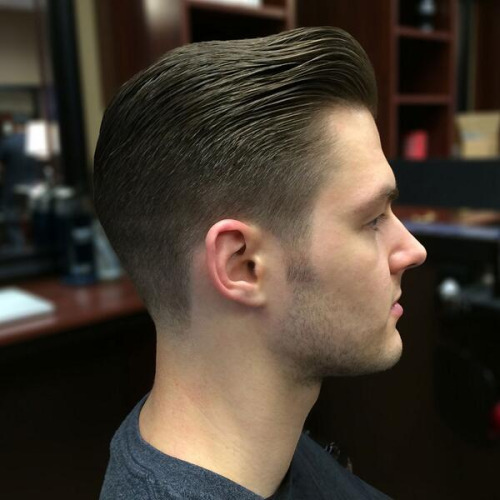 Let us say that you are not into the various types of fade hairstyles and you would like to stick with a classic fade that you know you will look great in. No need to look any further because the regular fade may be all that you need. If you would like to have a hairstyle that can look obvious and evident, this high contrast fade hairstyle may be the only one that you need. You know that this can appear rougher than usual but can look great if you are able to pull it off. 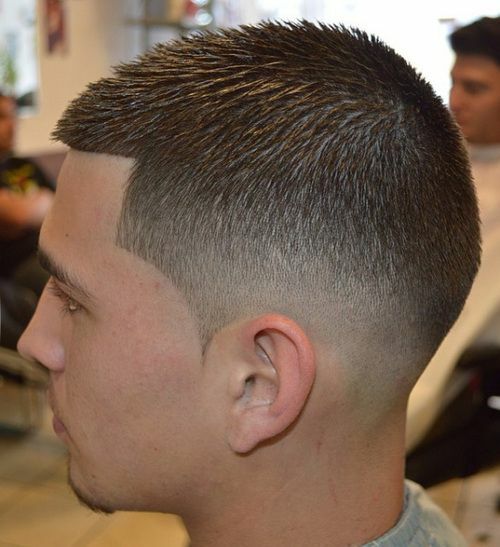 If you would like to have a fade hairstyle that you will have no trouble pulling off whether you are going to a casual or formal event, you know that you can never go wrong with a formal fade that looks short and classy all over. 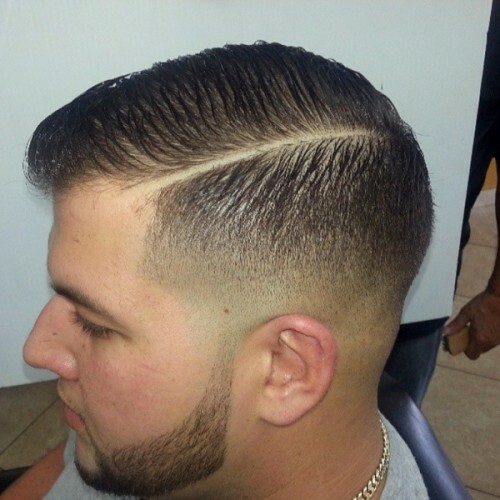 Would you like the fade of your current hair to become emphasized? You may be able to do this with the use of the line fade. This means that a line will be sculpted on the side of your head and this will start to make the fade become more evident. With all of these fade hairstyles that you just have to try, which one do you think will work best for you? It will be up to you to make a choice.